I’m so excited! 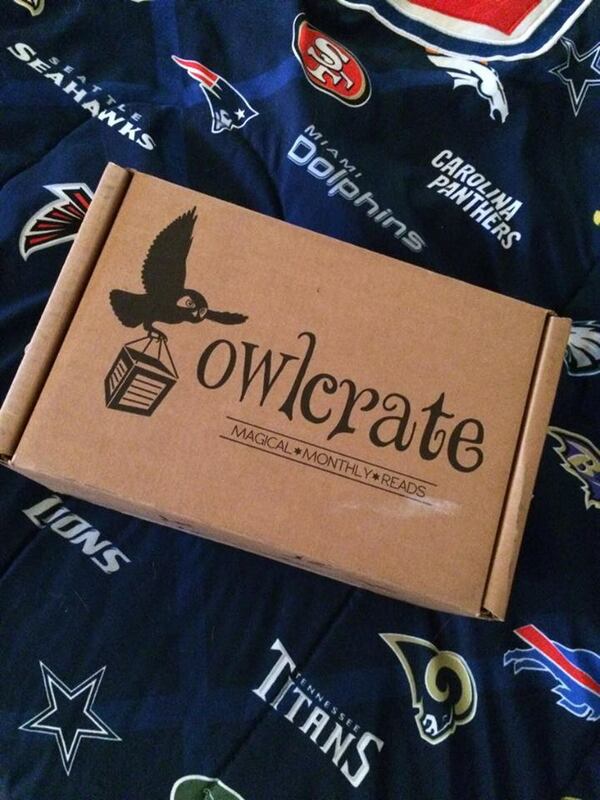 In case you can’t tell by now, OwlCrate boxes are amazing and I love getting them in the mail. 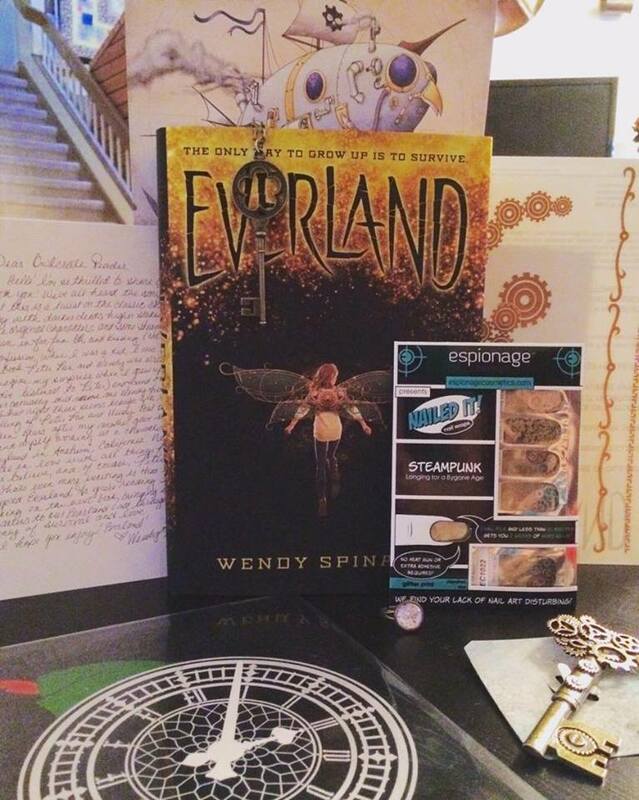 They’re glorious, and wonderful, and creative, and full of goodies that make your fangirl heart squeal. In case you weren’t paying attention last month, the little preview told us what the theme would be. Anyone remember? Guess what! 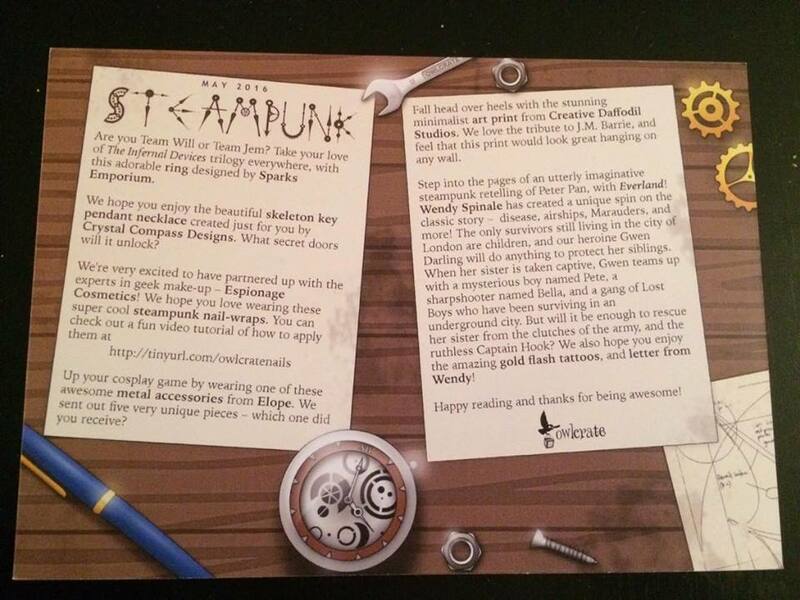 THIS MONTH’S THEME IS STEAMPUNK! I mean, just look at it! I’m in love, and it’s just the post card. Argh. 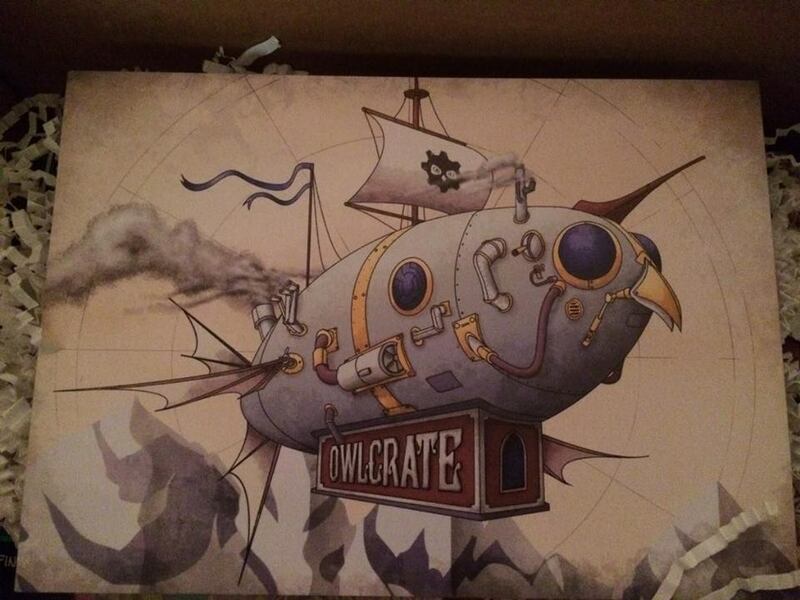 OwlCrate kills me every time. 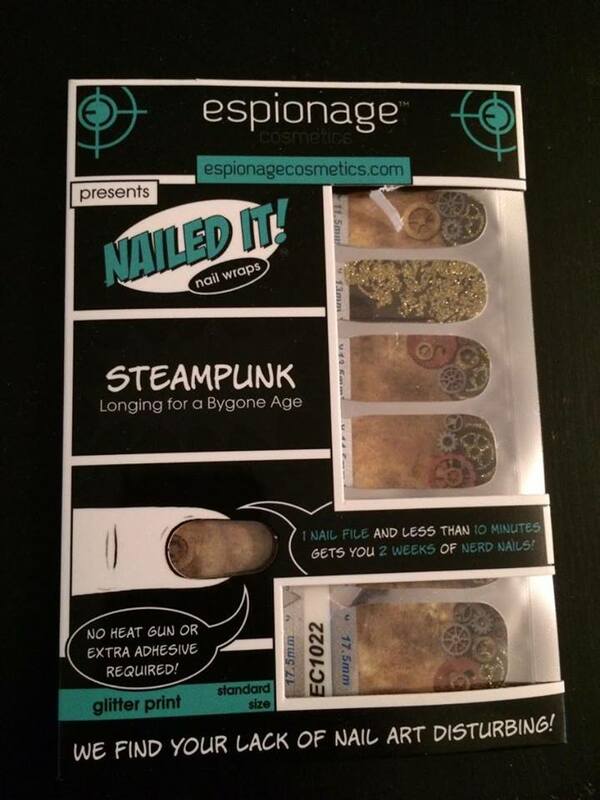 First up, we got this amazing set of nail art! I can’t wait to use it. I’m so excited I might die. After that, I pulled out this awesome little (not really, it’s quite large) broach. It’s amazing, and I mean AH-MAZ-ING! Apparently, there were different accessories given out – so everyone pretty much got something different. I can’t wait to see what the others got. I can’t wait to wear it. I have no idea where to wear it or what to wear it with, but it shall be done! 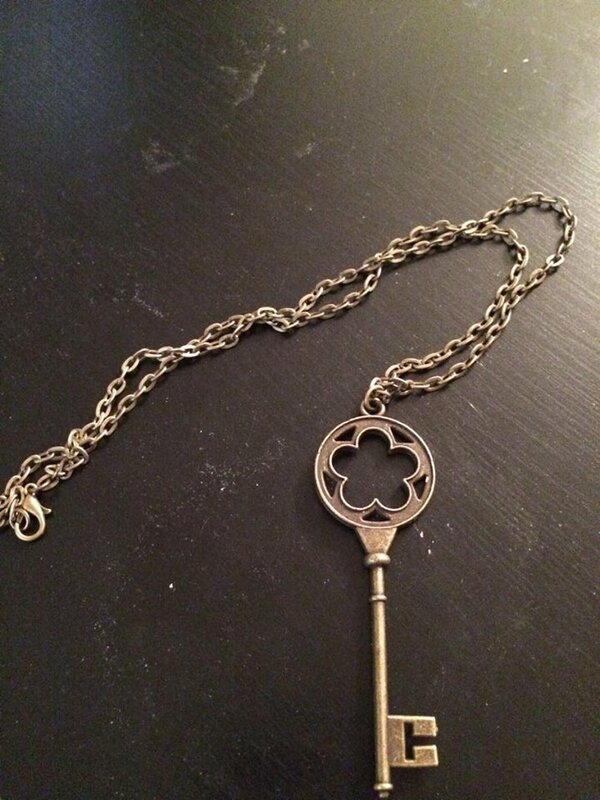 I’m going to stick with the keys for a second, LOOK AT THIS NECKLACE! I am in love. Enough said. 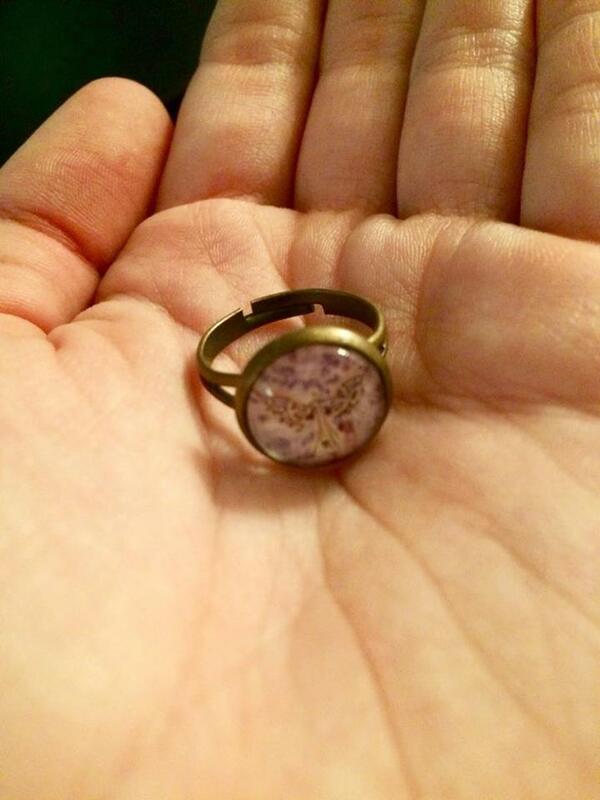 Then we have one of my personal favorites: an Infernal Devices ring! I died a little bit. 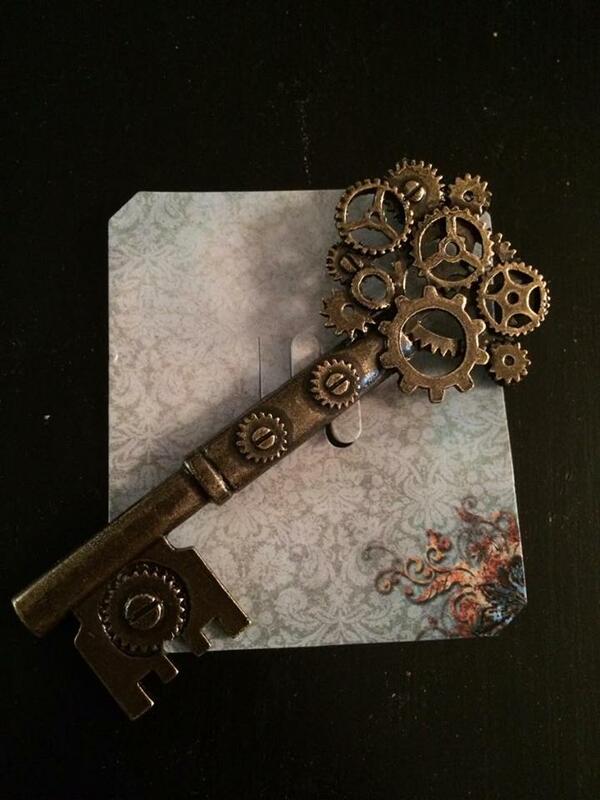 Yes, my lovely bookish people, that is the clockwork angel. Like I said, I died a little bit. Additionally, we were given this wonderful Peter Pan art print. I cannot wait to get a frame and hang it on my wall. If you don’t know, Peter Pan and Beauty and the Beast are my ultimate favorite fairy tales. Just sayin’. 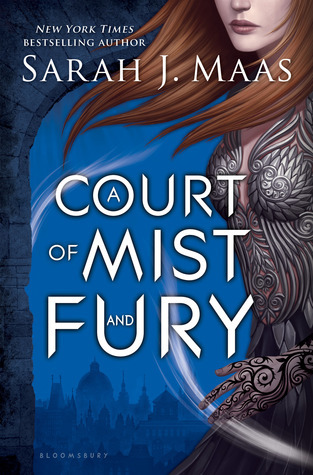 On top of all that wonderful stuff, we also get a book – which, as usual, is probably my favorite part of the entire box despite how much I love everything else. 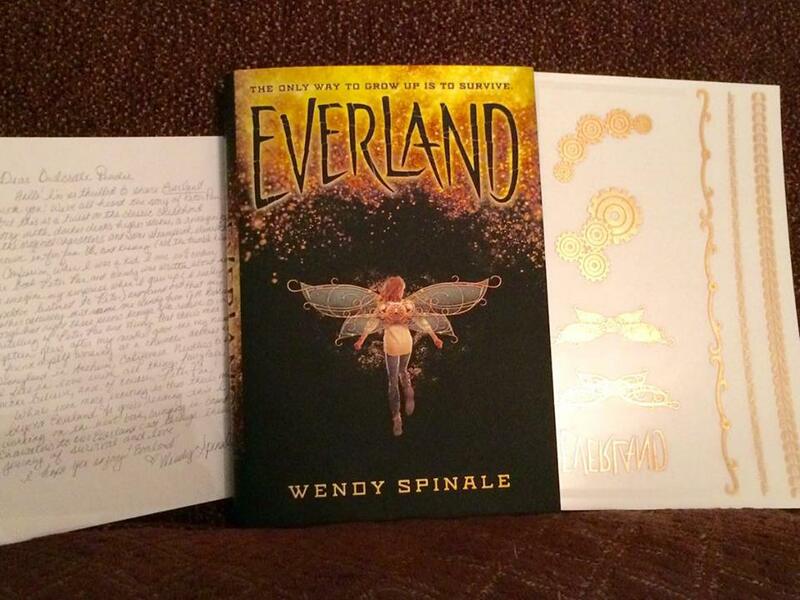 This month we were gifted the wondrous Everland by Wendy Spinale. I screamed. DYSTOPIAN PETER PAN!?!?! Hell yes! 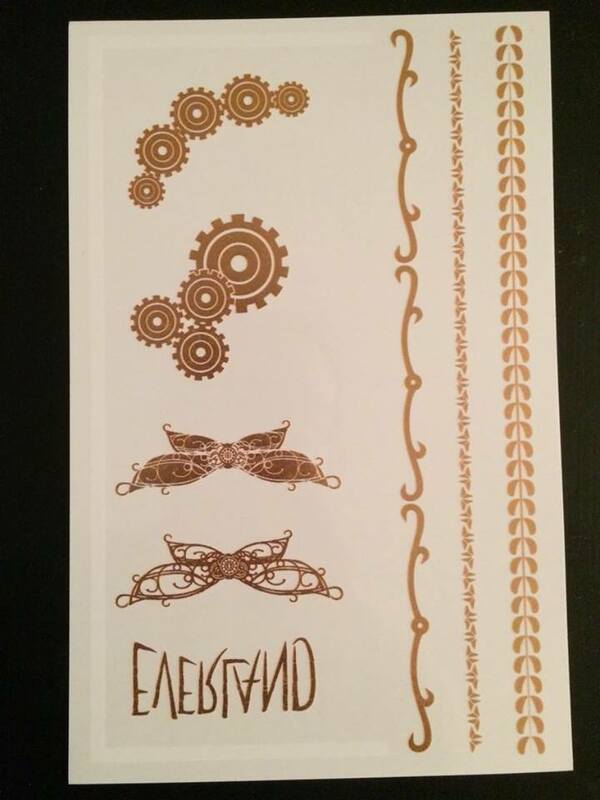 As part of the book package, there were some really cool, shiny looking temporary tattoos. It’s awesome. D’AWWWW! That’s what this was. 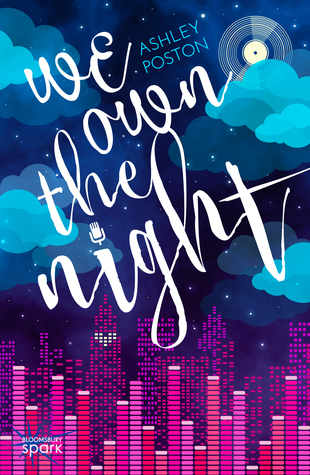 We Own the Night is cute, sweet, and short. It is a delightful, heartfelt little romance that is perfect for kicking off the real start of summer. 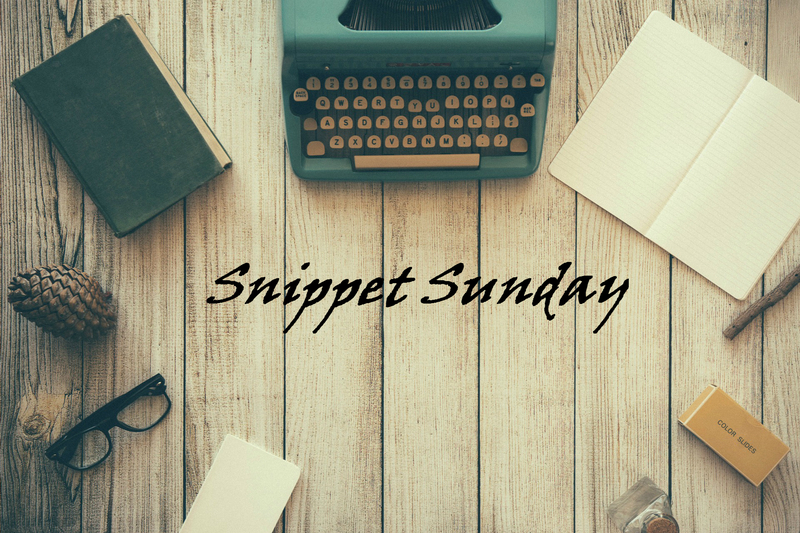 It is heartwarming, funny, surprisingly surprising (see what I did there? 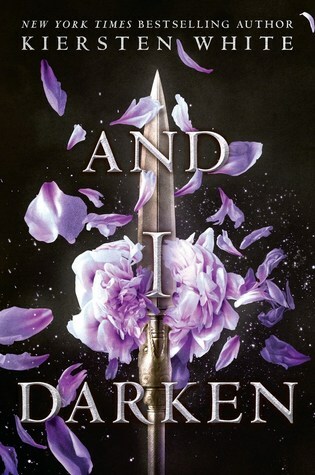 ), and overall just a wonderful read. I’m in love. 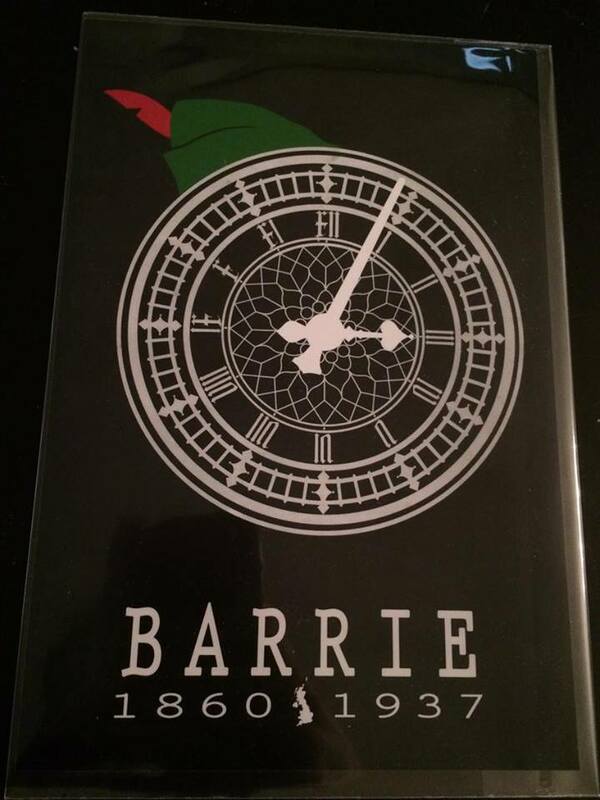 Well… bah humbug. That was really, really disappointing. 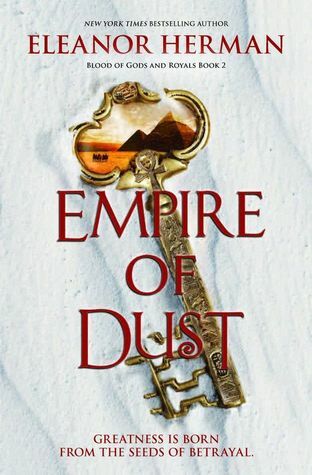 Empire of Dust illustrates one of my biggest bookish pet peeves, hell, one of my biggest writing pet peeves: no growth. 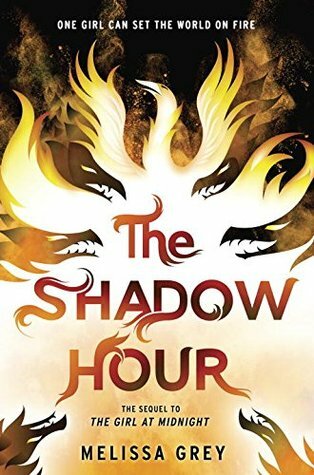 Empire of Dust is chalked full of the exact same problems I had with the first novel. Those being too many characters, not enough development, shoddy world building and descriptions, and just this overall bleh that keeps everything from improving along the way. It is simply ridiculous. I was not a big fan of Legacy of Kings , not in the slightest, so I really have no idea why I decided this was a good idea. Hope, maybe? Who knows.